The 5' long Sonoran Gopher Snake our dog found in our backyard. It slithered back along the side of the garage where we assume he still is. Jeanette and our daughter are freaked out about it. This is a gecko that seems to live in our house. He comes out at night and is about the size of your pinkie. He's harmless and eats bugs. Jeanette is always worried if she walks through the house in the dark she is going to step on him. This is my daughter at the beach. She is wearing her Seattle rain boots. At first I thought they were silly. Now I want a pair for myself. Just something I don't understand. Also something I don't understand. 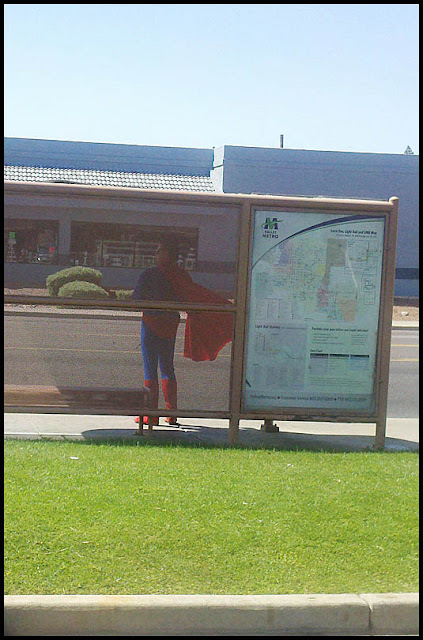 that Superman can fly but is waiting for a bus? What a fun collection this week, nice job AH! I too don't understand the jeans below cheeks thing! I want some rain boots for the dog beach! I am stumped by 'Superman'! You should have seen that guy trying to walk with his pants down like that. It was pretty funny. It was comic-con in San Diego so I am surprise you didn't see more characters besides Superman. That is a wonderful photo, love the fact Superman has to take the bus. Except for the rattlesnakes and the poison ones, I have a list so I will know... the others ones help with rodent and the packrat population at my home. I rather like them. A snake AND a gecko?? That is so cool! rain boots are so priceless, i promise you. they are not pretty or fun to buy (well, unless you fancy the popular hunters) but i use mine SO often. then again it rains here a lot! Too funny! Love the boots...superman? 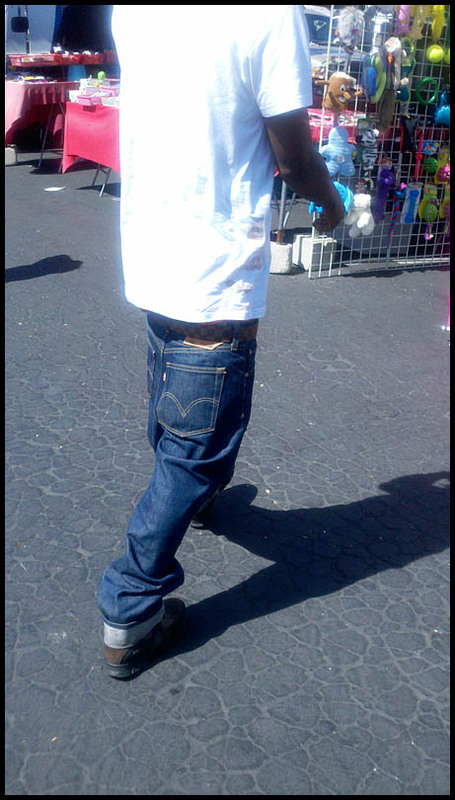 Those low pants...if you could call them that....is that even a little bit comfortable? Thanks for visiting! hahahahaha... I thought this was from your San Diego trip ! Maybe he is channeling comic-con ? and I too love the flowing cape. This photo is a keeper ! Oh I love your post! Thanks for the chuckle and you can tell Jeanette that I once had a snake that size in my kitchen cupboard! That was many years ago and I still have a hard time going into that cupboard. Enjoy your summer. OMG. I am dying over the Superman photo. I just snorted I was laughing so hard. You seriously need to solicit captions for that photo. Too too funny.